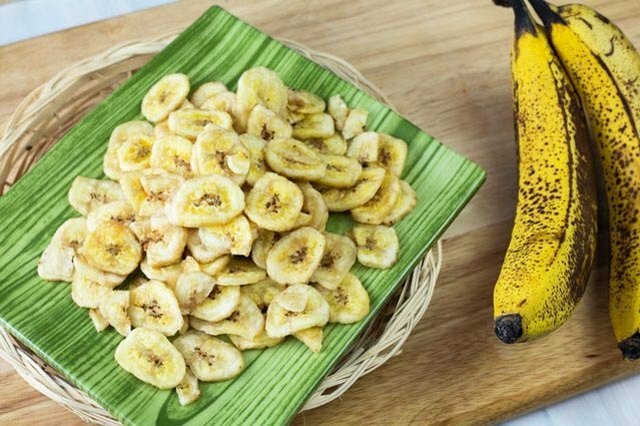 Banana chips are dried, bite-sized banana slices that are rich in potassium, vitamin A, fiber and other essential vitamins and nutrients. 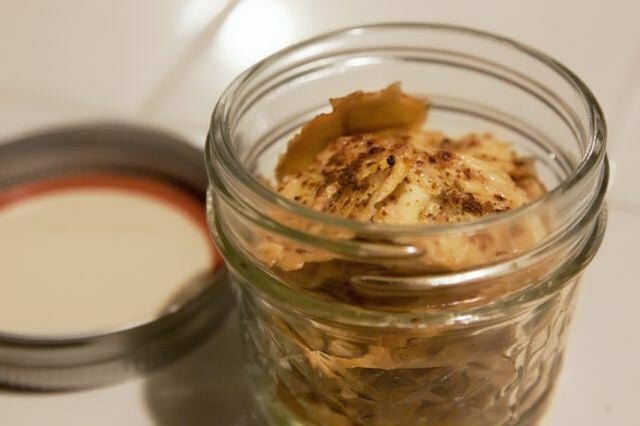 While store-bought banana chips are readily available, making them at home has several benefits. Preparing them yourself helps maximize the chips’ nutrients and taste and ensures that no fats, oils or sugars are added to this already delicious snack. There are two easy ways to prepare these bite-sized treats -- dehydrated or baked. It's best to wait until your bananas are ripened and brown-flecked to obtain the sweetest concentration of flavor. Peel and cut each banana into 1/8-inch slices. Thin, uniform slices allow for even drying inside the food dehydrator. 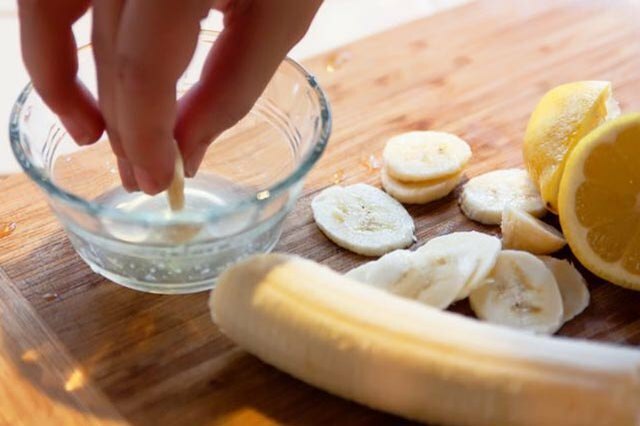 Dip each banana slice into lemon juice. This lessens browning of the banana chip and adds vitamin C back into the banana. 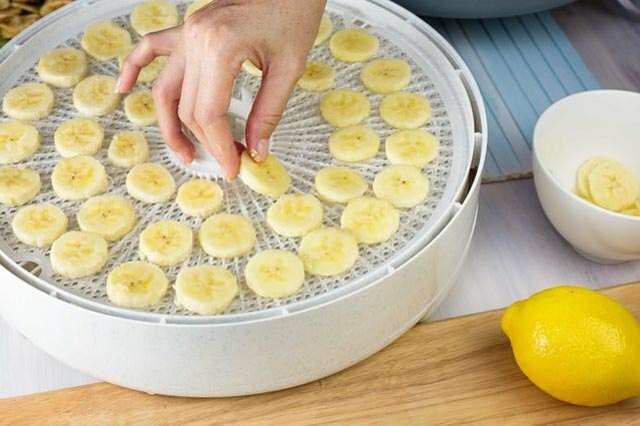 Shake off excess lemon juice before placing the bananas in the dehydrator. 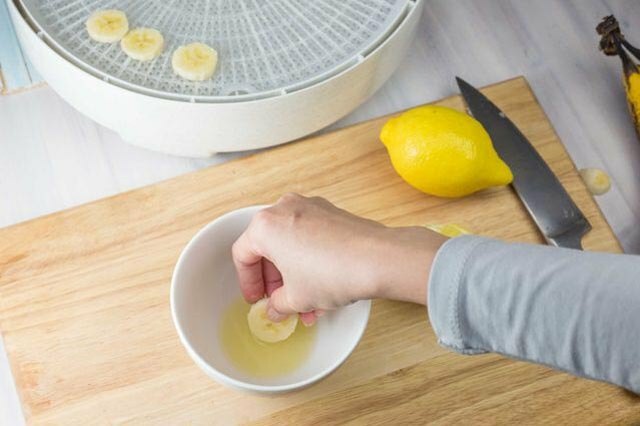 Place the lemon-dipped slices onto the banana tray, making sure there is enough space in between slices to allow for sufficient air flow while drying. 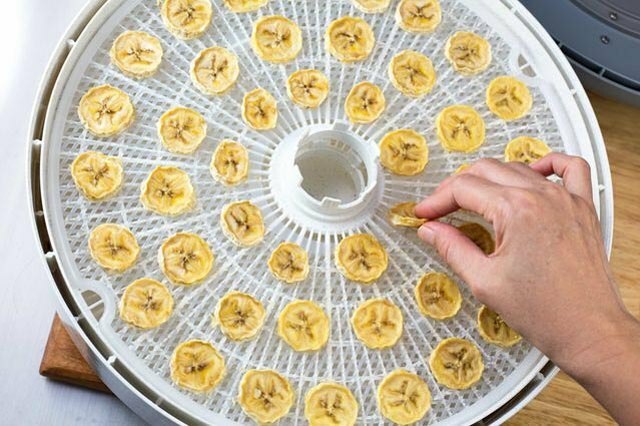 Fill the available dehydrator trays with banana slices, and then put the trays into the dehydrator with the temperature set to 150 F for the first two hours. If your dehydrator does not have variable temperatures, use the normal setting. Reduce the temperature to 130 degrees after the first two hours, and leave it on for six hours, until the bananas are fully dry. 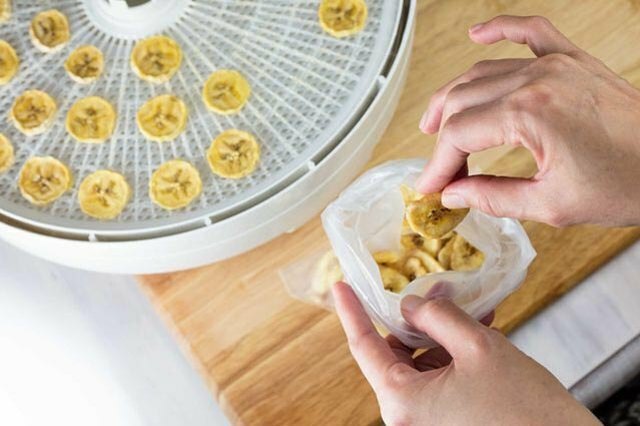 Stop the dehydrator halfway through and flip the slices to ensure even dryness. When the timer is done, check on the bananas’ firmness. If they are leathery to crispy, they are done. Let the chips cool for a few hours on the dehydrator trays before removing them and packing the chips in plastic bags. Dehydrated banana chips can last at room temperature for up to two weeks. Heat the oven to 150 F.
Peel and cut the bananas into 1/8-inch slices. Thin, uniform slices are optimal for baking the bananas evenly. Dip each banana slice into a dish of lemon juice, making sure to shake off any excess liquid. This prevents the chips from browning while they bake. Spread the bananas in a single layer on a baking sheet coated with nonstick spray. Bake the banana slices for one to two hours, until dry. The bananas will still be flexible while hot out of the oven, but they will become crispier as they cool. 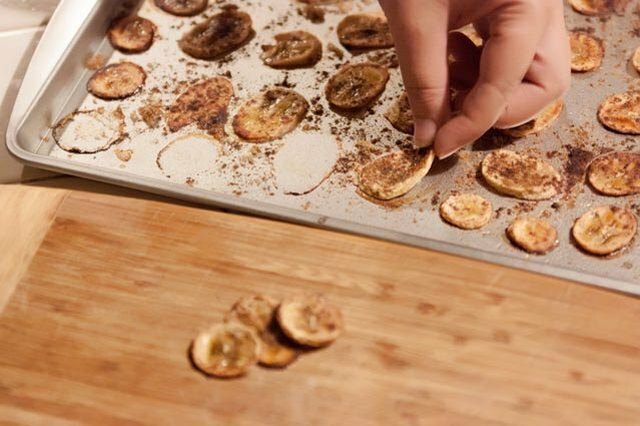 Fully cool the banana chips before carefully removing them from the baking sheet. Store in an airtight container for two weeks.